As you may know, Margarita and I sold our previous business (Scenario Design) in 2005 and started our new journey with a year off to travel the world and replenish our creative batteries. What a beautiful year that was. I remember it like it was yesterday. As a speaker, I tell that story many times per year and the question that I get every time without fail is: “How did you sell a service business that was so revolved around you and your talent?” And, the answers are below in this blog post. Whether you want to sell your business one day or not, this post helps you build a business that could be sold one day should you choose to. Now, selling a business is a financial transaction, but more importantly, it is a process of presenting a company as “desirable” and “marketable”. Creating an understanding of the true value of the business to buyers in the market should be your end goal. Business owners sell their businesses for many different reasons, including retirement, to spend more time with family, or to start a different business. B2B marketer and author John Warrillow claims that the number one reason business owners sell is illness. 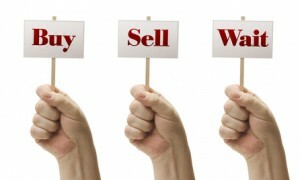 For many, selling their business is the most important transaction of their lives besides buying or selling their home. Regardless of why they are selling, business owners can take some specific actions to make sure their businesses are attractive to buyers, in order to maximize the financial results from selling. In his book “The Complete Guide to Selling a Business”, Attorney and author Fred S. Steingold advises business owners to spend some time improving their offerings for sale. He suggests that owners start by improving profitability, changing from a lifestyle model to a wealth-generating model, and getting paperwork in order – and I agree with that 100%. We decided to sell at the beginning of September 2005 and the deal was done by December 2005. Yes…you heard right, it only took a few months. Having said that, Margarita and I had spent years building systems and procedures to facilitate our processes and efficiency for our own sanity, without knowing that one day…we were going to be grateful for that in more ways than one. Below are 3 important points to consider should you want to build a business that could be sold one day. Buyers looking for businesses look for a consistent record of profitability. Steingold recommends that owners who do not have profits year-over-year should wait to try to sell and work on earning at least a year or two of steady profits. Tory Johnson agrees, and cites a client that had difficulty selling because of inconsistent profits, and took 18 months to work on profitability issues, before being able to sell the company for more than double its original sales price. Steingold cautions owners to not try and hide losses or fake profits. He says to work on improving profitability by actions such as resolving outstanding legal problems and customer disputes, getting accounts receivable in order, and getting rid of unnecessary inventory. Improving profitability is just one way to protect yourself when preparing for a sale. Other things that help potential buyers view businesses as more secure and stable include adding some protections from a company such as Life Lock. You can visit the Life Lock page, which goes into depth on their custom security solutions for business. Steingold also advises managing receivables with an aging chart that shows 30, 60, and 90 days of outstanding accounts and good collection processes to demonstrate that receivables can be collected. Then collect as many outstanding accounts as quickly as possible. He says having a stock reduction sale produces cash for other business improvements, gets rid of old or stale goods, and cleans up storage or warehouse space. Most businesses are not sellable because of inconsistent profits and unattractive business models. There are two types of businesses in my opinion: lifestyle businesses and wealth-generating businesses. Many entrepreneurs and small business owners build lifestyles that pay them salaries and dividends and a boatload of luxury, but otherwise small returns on their investment. Lifestyle businesses rely almost completely on the owners for their value and operations, making them unattractive to buyers and difficult to sell. Wealth-generating businesses are built with solid management teams and financial and operational systems that enable the businesses to operate independently of the owner’s involvement. These types of businesses are attractive to buyers because they won’t lose any operating capacity if the owner is not around and that is precisely what Margarita and I did 8 years ago. We tweaked our lifestyle business into one that was attractive to buy as a result of our team, systems and healthy financials. Buyers want proof of good business operations and profitability. Financial statements and other important paperwork such as contracts, leases, and inventory counts should present the best possible picture of healthy operations. If they don’t, Steingold advises business owners to work with an attorney and an accountant to clear up any problems in these areas, and improve the paperwork buyers will ask to see. He suggests that a three or five year plan is a good thing to include when cleaning up paperwork, since it gives an overview of business owners’ vision for growth and profitability that will engage buyers. What’s one thing that you could change or elevate right now to help you build a business that gives you more freedom?